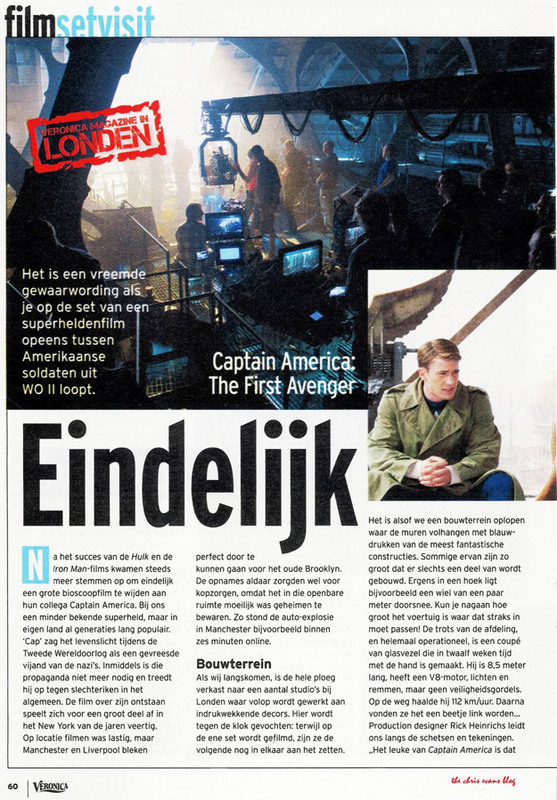 Dutch magazine Veronica (via The Chris Evans Blog) visited the set of Captain America: The First Avenger and published this article, which includes a new behind-the-scenes shots. While not much new is learned from the article, they mention that 25 shields were made for the production. Small ones were made for the fighting and running, and one was even made out of bronze that was impossible to lift. 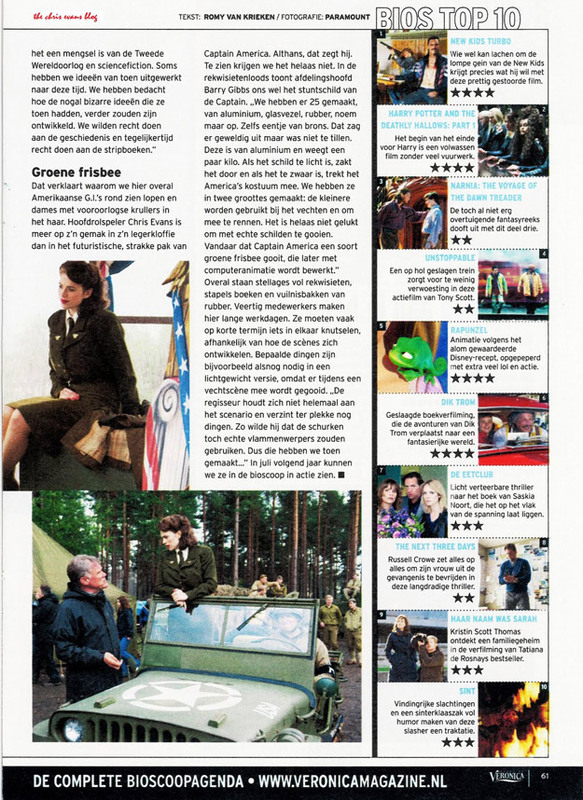 Chris Evans in some scenes threw a "green frisbee" that will be turned into the shield using special effects. We hope to have some better-quality versions of these images soon.